A highly durable coat which directly forms a chemical bond between fluorine and glass without binders, whilst also creating long-lasting water-repellency. Our Interior Coating System creates a barrier effect environment in which bacteria cannot thrive. Designed to obliterate bacteria in its entirety it deodorizes the surfaces and antibacterial properties which are long-lasting. BRILA Wheel Coating ensures a “hydrophobic” effect, meaning it easily removes brake dust and has a high heat resistance. The hydrophobic effect is the observed tendency of non-polar substances to aggregate in aqueous solution and exclude water molecules. 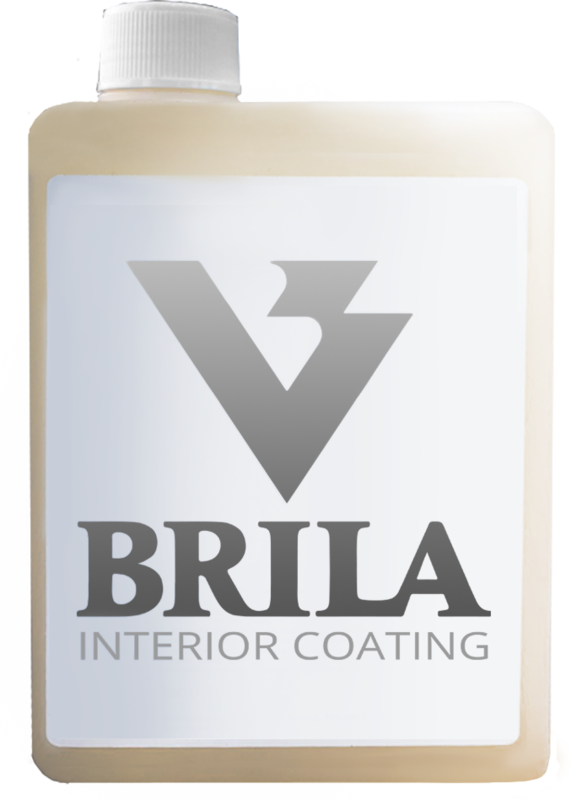 BRILA REDLINE is aimed at providing an alternative in cost, but gaining the most value out of choice – BRILA Redline Body Coating provides a coating system that creates a showroom shine and protects the paintwork at a price that’s adapted to your buying power. An advanced coating system that protects the vessel from harsh conditions that can be damaging to the hull of watercrafts. A super hydrophobic effect that’s easier to clean. BRILA Blueline Coating maintains a quality protection to the surface – the coating serves as a system that creates a strong water beading effect but at a low cost. Designed to obliterate bacteria in its entirety, it deodorizes the surfaces and antibacterial properties which are long-lasting.